Just seen on Facebook that Go Ahead Group Optare Versa Demonstrator is due in Plymouth for its next tour of duty. Not sure if its physically here yet but apparently its due to stay for a couple of months before going on to another GA group company. 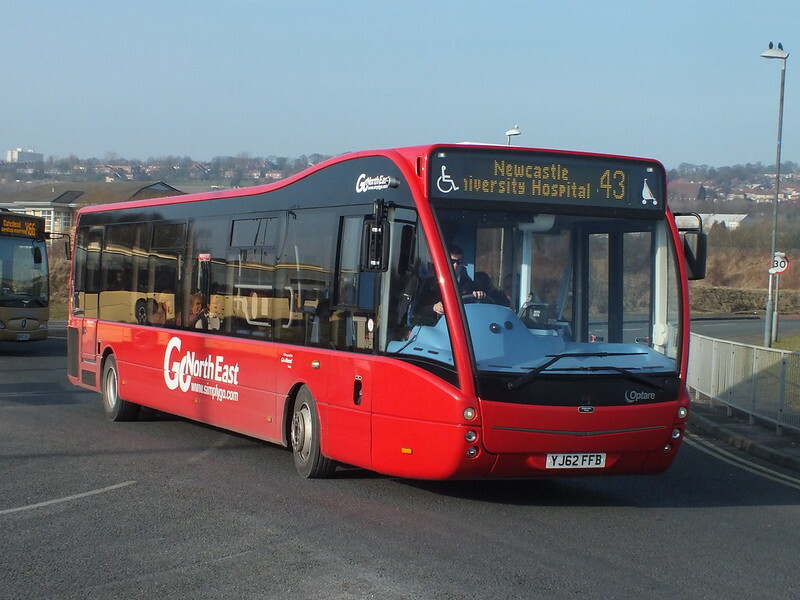 Its very handy that its in all over red livery as it will fit in with the rest of the fleet quite easily with just a standard Citybus fleet name. Maybe it will even get the swoop added? yes graham, it is here arrived weds I think. has already been out on driver training. just has citybus logo but no swoop. prob cos it only here for 2 months. it will be allocated to 5 and 5a's so there are less drivers to train. Seen at mile house today. wait till we get our enviro 400's! they will prob be 13 plate! as Mike, Chairman of Vice at the PCTPG says, we are getting 13 Reg buses next month, and we do already have plenty of 12 Reg buses in Plymouth at the moment - even First has some! Also with the Enviro 400's due to arrive on the 10th July, things could get very interesting on the streets of Plymouth. The Versa has had PCB logos and adverts applied but not swooped; it has retained fleet number 9133 and had the bandit screen removed. Currently it is sat down Bretonside for type training. The biggest potential problem is that it is a 1 pram or 1 wheelchair bus.